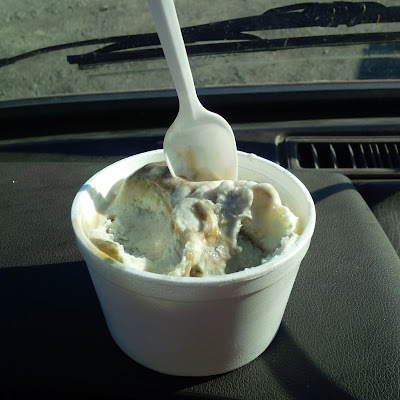 Another positive was my discovery of Privateers Bounty Ice Cream...it's vanilla ice cream with salty toffee chunks and black licorice ribbon...polarizing...you'll love it or hate it !! In spite of it all, a frustrating month, exacerbated by my continued VW Camper woes and the fact that I got no camping in. September is a wonderful camping month in these parts. To make matters worse, October is now more than half gone. Sorry for all the negativity, but I'm recording all of this in order to hopefully trigger a better fall, or at least what's left of it.